Driving on the opposite side of the road is not uncommon in India. Just get out on the roads and you’ll definitely find someone driving straight towards you. It is pretty easy to find a ‘Wrong-Way Driver’ riding happily against the direction of traffic, just to save some time and fuel. 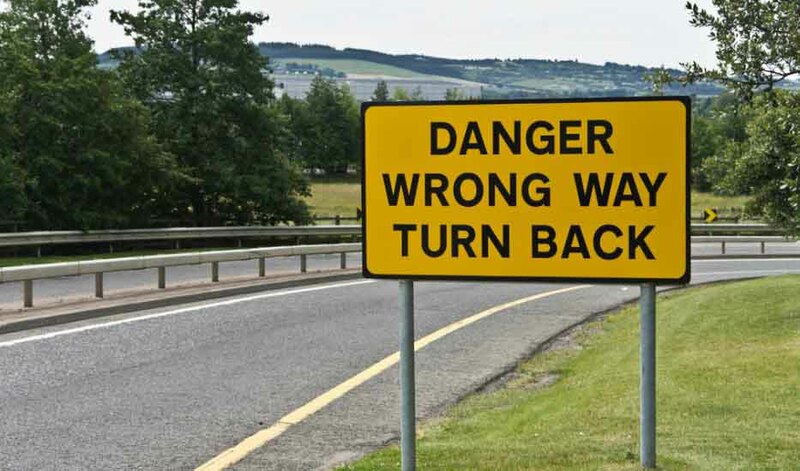 Wrong-way driving is extremely hazardous and the top cause of vehicle accidents as it often leads to fatal head-on collisions, and the results are deadly. These practices are carried forward to the highways too, where the risk of getting involved in an accident is much higher. The video below demonstrates how a rider went through a near-death experience. As seen in the above spine-chilling video, the Royal Enfield rider was gliding through the fairly congested highway in the beginning. Overtaking many vehicles coming in its way, he saw a truck being driven in the center of the road. As soon as he sped-up while trying to overtake it too, the truck moved to the side, making way for another oncoming truck driving completely against the direction of other travellers. 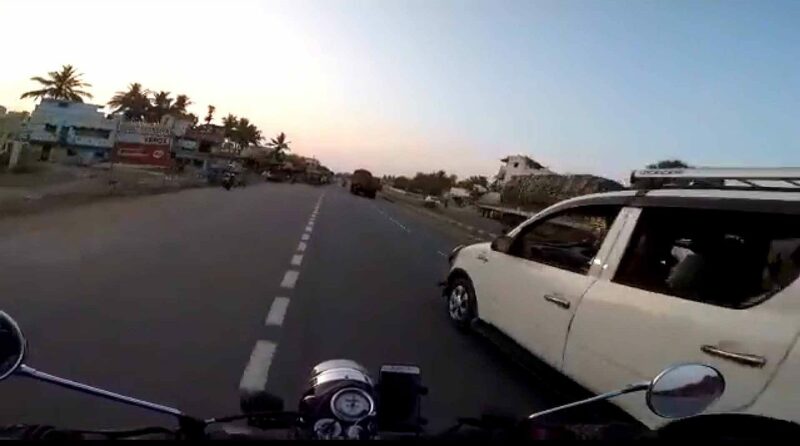 The motorcyclist, brought his reflexes into play and managed to save himself just inches away from the oncoming truck. 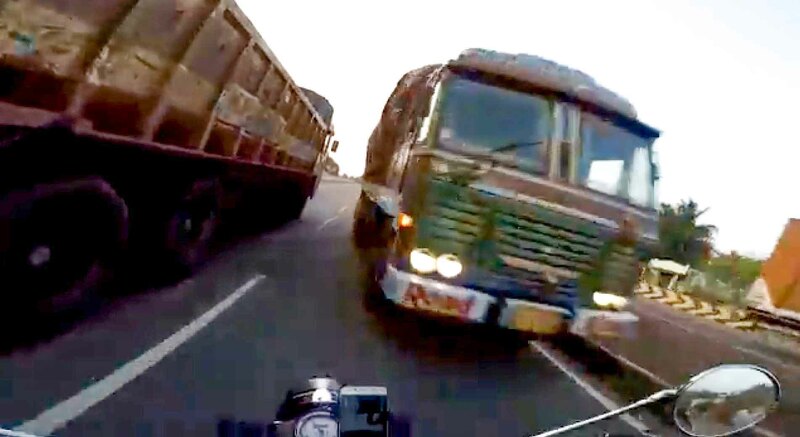 Thereafter, the bullet rider can be seen sharing a smile of relief with his pillion, just seconds after getting saved from the rashly ‘wrong-way’ driven truck. We feel the traffic police should get stricter and take all the necessary measures to curb this nuisance, especially on the highways, where the probability of accidents and collisions are much higher. Driving in the wrong, opposite direction of the road is riskier for everybody.